Scroll all the way down to see our new styles and sizes! Not much has changed since the 1800s. The patriarchy is still strong as ever in music. Naturally, we decided to express our sentiments sartorially, via a new graphic tee conceived by NCP board member Kari Parks and designed by Mia Sakai. Wear it as is, roll up the sleeves, cut it up like Laura, or crop it like Thea... it's up to you! Photos by Olivia Locher. Shipping outside the continental US? 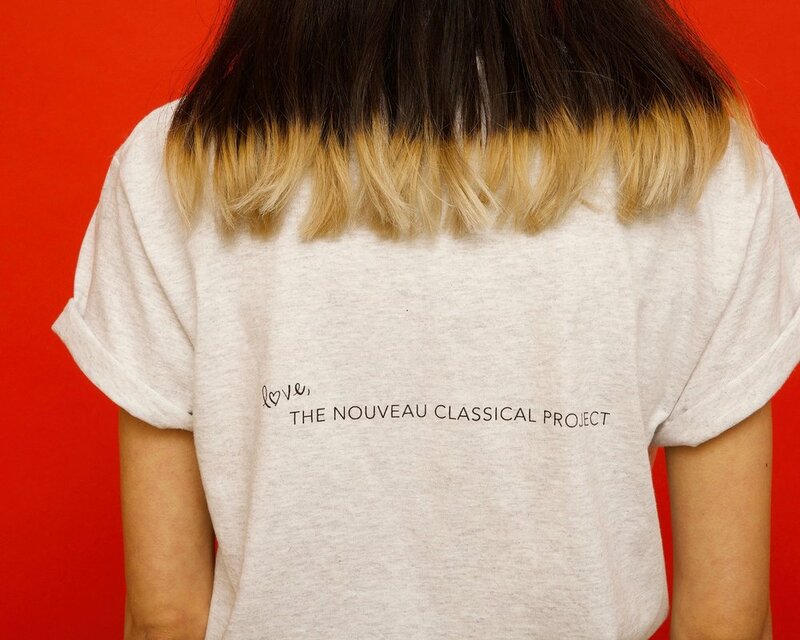 Contact info@nouveauclassical.org for assistance. Unisex Large - $25 - Only 1 left! #fffp in more styles and sizes, + kids and babies! We've added more sizes and fffp garb for kids and babies! Visit our Teespring store here to purchase.